Information on the vacancy can be downloaded here, and the closing date for applications is Friday 15th February 2019. NHS Grampian Research and Development are hosting the Annual Research Conference from 9.00am-2.00pm on Tuesday 4th December 2018 in the Suttie Centre. Clinical staff with interest in research, clinical researchers, trainees and students. The conference will be a platform to share information and knowledge and to hear more about innovative and exciting clinical research happening in Grampian. Registration is now open - please complete and return the registration form to book your place. The call for NHS Grampian Endowment Research Grants is now open. These grants are aimed at one year pilot research projects which will impact on health and social care with potential importance for NHS Grampian. NHS Grampian Endowments Funded Research Grant applications are welcomed from all researchers in Grampian (medical, dental, scientific and clinical staff including nursing and allied health professionals). This funding can be used for pump-priming or pilot activities to attract future funding to NHS Grampian from external bodies. For this year’s funding round 2018/19 funds will be made available from 1st April 2019 to 31st March 2020. If you would be interested please refer to the application form (docx) and guidance notes (docx). These will also be available on our website (www.nhsgresearchanddevelopment.scot.nhs.uk) . If you have any queries please call 01224 551121. The deadline date for submissions is 5pm on Friday 23rd November 2018. An opportunity is advertised for AHPs to apply for 0.2WTE funded research time. The closing date is November 12th 2018 - some previous research experience/training is expected Applicants will be likely to have had some research training. This may be demonstrated by a PhD, MD or other postgraduate qualification with a significant research component. Applicants without such a higher degree are eligible to apply, but will have to provide strong justification for their suitability for the award. The scheme is not designed to be a vehicle to obtain a PhD. There is a call for Poster Abstracts and Oral Presentations for this event being held at Inverurie Town Hall on Wednesday 3rd October 2018. The event aims to celebrate good practice and innovation in Grampian and raise the profile of NMAHP professionals. There is a call for poster abstracts for this event being held at Glasgow Caledonian University on Tuesday 4th September 2018. The event is being organised jointly by the North of Scotland, South-East Scotland and West of Scotland hubs. The deadline for poster abstracts is 10th August 2018, and these can be emailed to cahpr@rgu.ac.uk. If you would like to register to attend the event, please visit https://www4.rgu.ac.uk/general/info/page.cfm?pge=105631 - registration costs £25, or £20 for students. In 2018, the Council for Allied Health Professionals’ Research allocated funding to support its members in presenting their research at conferences. We hope that these funds will assist in the dissemination of Allied Health Professionals’ research, as well as offering members invaluable networking and information-sharing opportunities. We are keen to encourage AHP researchers, clinicians and students to submit their work to appropriate conferences, with the ultimate aim of improving the quality of representation for our membership. This conference bursary is primarily aimed at early career researchers. Funding is provided through a competitive bursary scheme. Applicants may request a maximum of £400 to support attendance at an International conference or £200 for a National conference. A separate award, up to a maximum of £150, may be given to pre-registration students. For details, see the CAHPR website. Applications for this round must be received by 8th July 2018 and can support conferences August to December 2018 inclusive. This FREE event for Grampian AHPs interested in research with keynote speakers, workshops and excellent networking opportunities is scheduled for Friday 22nd June 2018 at Robert Gordon University. 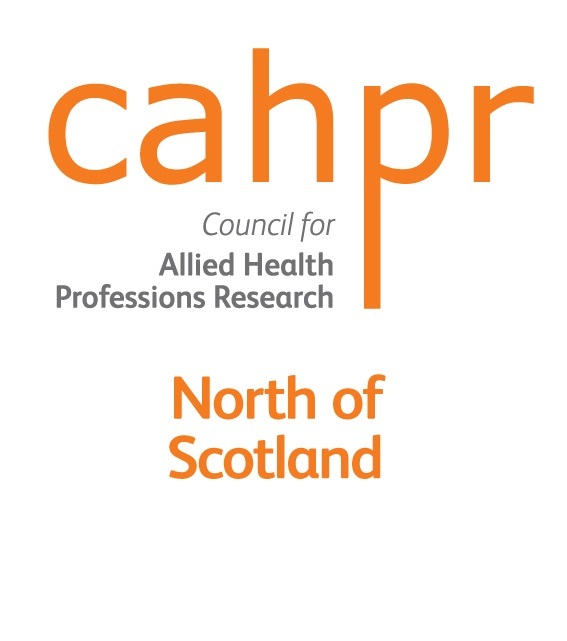 An opportunity has arisen for nurses, midwives and allied health professionals in Scotland to apply for support for research activity that aims to make improvement(s) to patient care in line with the recommendations of the Vale of Leven Hospital Inquiry Report 2014. • Part-time Research Fellowship to undertake a small scale research study. Funding is available up to the equivalent of NHS Band 6 0.5 WTE for 4 months. • Education and Travel Scholarship to fund travel out-with Scotland where there are opportunities to learn from others in areas raised within the VOLH Inquiry Report. • Implementation Science Scholarship to fund evidence-based implementation/improvement studies in areas of patient care identified in the VOLH Inquiry Report. Funding is available up to the equivalent of NHS Band 6 0.5 WTE for 4 months. Successful applicants will be expected to share their findings, learning and best practice with their peers and across Scotland, this will be seen as an integral part of the award process. •	be able to demonstrate current availability of time for research. Registered NMAHPs living in Scotland but not currently employed by the NHS or a HEI may be considered if the necessary HEI/NHS supporting framework is in place prior to application. The closing date for applications is 31st May, 2018. Northumbria University are hosting the Physiotherapy Research Society (PRS) conference on 19th April 2018 at Coach Lane Campus. The PRS annual scientific meetings have been run annually (and occasionally biannually) for over 20 years. It is a UK based conference aimed at new and early career researchers to present their findings due to its friendly and constructive ethos. The aim is to bring together top researchers in the field and early career researchers in order to inform and inspire the latter. The conference theme is ‘Research and Clinical Practice – A Two Way Street’, this aims to capture the importance of strong links between research and clinical practice, with each informing the other. A flyer with further details can be downloaded here. What can research tell us about health and social care integration and its role in improving outcomes? The 6th Annual Research Symposium will take place on Tuesday 24th April 2018 from 10am to 4pm at COSLA conference centre, 19 Haymarket Yards, Edinburgh EH12 5BH. Abstracts are invited by Monday 22nd January 2018. Full details can be found here. The School of Nursing and Midwifery at Robert Gordon University are working in partnership with NHS Grampian to offer a number of research studentship opportunities. We are currently offering a PhD studentship and three MRes (masters by research) studentships. Details for each studentship can be found in the attached flyer. These studentships are open to Nurses and Allied Health Professionals. If you would like further details before making an application, please contact Dr Kay Cooper on 01224 262677. Nominations are invited for these awards. Highlight your research by nomination yourself, your team or your colleagues. Abstract submissions are now open for this conference being hosted by the Faculty of Public Health, with a closing date of Friday 9th June 2017. Registrations for the Conference will open in early August 2017. Details will appear here when available. 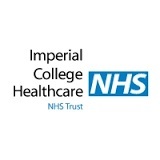 Registrations are now open for this course being hosted by Imperial College London and Imperial College Healthcare NHS Trust. 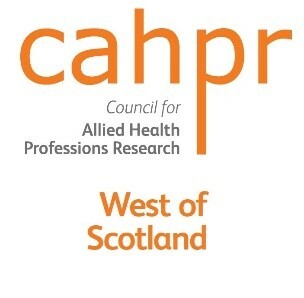 A 10% discount is being offered to CAHPR members. For further information visit the website or contact Eva Moreno at the Centre for Continuing Professional Development at cpd@imperial.ac.uk. Edition 3 of "The Researcher" is available to read online here. Glasgow Caledonian University are hosting the 14th Congress of the European Forum for Research in Rehabilitation (EFRR) on 24th - 27th May 2017. Further details can be downloaded here, or download the flyer. The University of the West of England is inviting applications for two full-time PhD studentships in the area of Biomedical Sciences. These studentships will be a part of the Doctoral Training Alliance in 'Applied Biosciences for Health'. The studentships will start on 1 October 2017, and the closing date for applications is Monday 22nd May 2017. How are treatments and cures discovered? What is the impact of clinical research? How do we undertake clinical research? Why do we do clinical research? You can discover the answer to these questions and many more by registering to join the National Institute for Health Research (NIHR) Clinical Research Network (CRN) Massive Open Online Course (MOOC). The NIHR CRN has teamed up with the University of Leeds and FutureLearn to develop a Massive Open Online Course (MOOC) available free of charge to anyone wanting to understand more about clinical research. Watch the latest MOOC trailer. The MOOC is entitled “Improving Healthcare through Clinical Research’ and was first launched across the NIHR CRN in November 2015, and has since been run again. The course has attracted over 18,000 people, signing up to undertake the course to learn more about the importance of research from across the world. Building on the success of the last three MOOCs, the Network is launching the MOOC again. The “Improving Healthcare through Clinical Research’ course will run from 22 May 2017 and people can sign up now to register. Hear what other people learnt from the MOOC. You can watch the patient highlights video here. MOOC learning doesn’t stop when the course ends. Registered learners have access to the MOOC materials for two weeks after the course has finished. The online learning discussion with moderators and learners is a live experience and better accessed over the 4 weeks while the course is running. The Scottish Centre for Evidence-based Multi-professional Practice is hosting the Joanna Briggs Collaboration European Symposium. The symposium will bring together clinicians and academics to discuss the latest advances in evidence synthesis, transfer and implementation to promote evidence-based practice in a range of healthcare settings. For further details, or to register to attend visit the website. The Programme is available here. You can download an abstract submission form from the Conference web page at: http://naep-uk.org/conference. Information on booking your place at the 2017 conference will be available shortly. For further information download the flyer (PDF format) . Registration is open now for this event, priced at £75.00 for Standard Registration and £30.00 for Student Registration. This includes conference attendance, certificate, lunch and refreshments. Further details are available on the website at www.physioresearch.org, or on this downloadable flyer. Cost: £450 including refreshments (tea and coffee), a parking permit to park on the University car parks, a delegate pack and lunch on the day of the symposium (6th April 2017). We are delighted to invite you to this joint venture between the University of Central Lancashire and Robert Gordon University. We hope that you can join us. The course is aimed at postgraduate research students, researchers and academics working within health and social care areas who are new/novices in this theoretical and methodological approach. 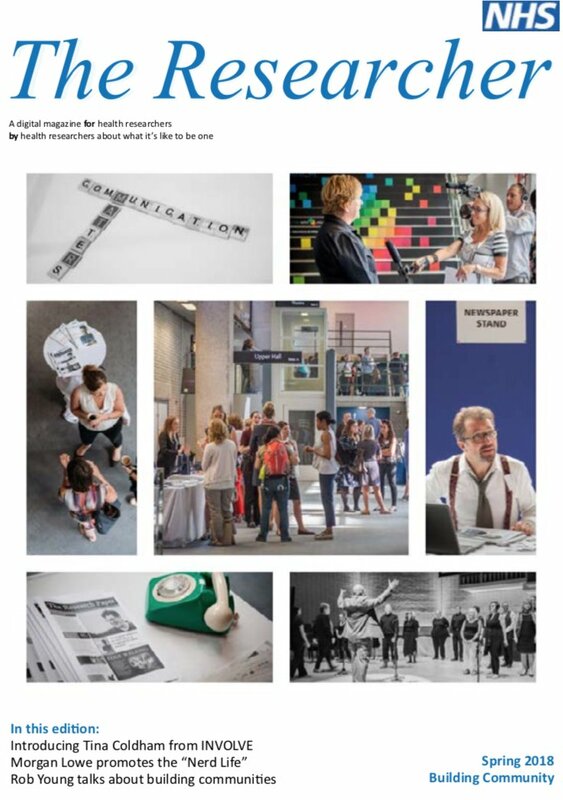 The NIHR new patients and the public newsletter is available to view here. The CSP’s Charitable Trust has just opened a call for applications to its Physiotherapy Research Foundation (PRF) awards and we would be grateful if you could promote this to your hub contacts as appropriate. The awards include a category specifically for novice researchers which it may be particularly appropriate for you to promote / support application to. Applications need to be led by a physiotherapist as the principle investigator and must be relevant to physiotherapy but are otherwise absolutely open to multi-professional involvement and for the novice research awards, it is quite acceptable for a non-physiotherapist to act as project supervisor. If you have any further queries the award administrators are very happy to be contacted direct on prfaward@csp.org.uk. Who should attend: Rhematologists, pain physicians, general practitioners, physiotherapists and other practitioners/researchers in musculoskeletal disease. For further information download the flyer (PDF format) or visit the website. PhD GTA Funded Studentship in "Real Time Feedback to Enhance Performance"
The successful candidate should devise an interdisciplinary research study within the remit of “Investigating applications of biomechanical and physiological real-time feedback to enhance exercise or sports performance”. The MS Society's 2017 Grant Round is now open. The deadline for applications will be 12:00pm on Monday 6th February 2017. The River House, Castle Business Park from 9.30am - 4.25pm for an overview of the treatment and management of both Hodgkin and non-Hodgkin lymphomas. 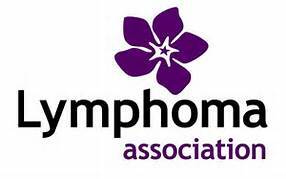 • Clinical trials and Lymphoma TrialsLink. Registration for this event is £25 and a buffet lunch will be provided. The CSO allocates £12.7m per annum to Boards through its NRS Researcher Support budget to meet the time of staff conducting research. If you are currently doing research but you don’t have support for these sessions you should be applying directly to your R&D office for funding under the Researcher Support strand. If NRS Career Researcher Fellows are successful in their research they should be in a position at the end of their Fellowship to apply to their R&D board for continued support. Read more about the five themes chosen for the conference. Becoming a health or social care professional is much more than simply developing the knowledgebase and the skills required. Increasingly there is recognition of the necessity of an ontological shift; becoming professional is transformative, life-changing. The 2016 conference will provide opportunity for discussion of the interrelationship between the concepts of 'identity' and 'practice' in the context of a constantly changing health and social care landscape. Impact and outcomes of learning in practice and the changing shape of practice. Becoming and being a compassionate professional. This is a Call to Action for the Virtual Day of Allied Health & Rehabilitation planned for 3rd December 2015. This FOC conference is open to all with an interest in allied health - feel free to pass this information onto your personal and professional contacts. This year we are refocusing the scheme to target individuals who are not currently research active but would wish to develop research in their post. We are keen to encourage more applications from nurses and allied health professionals. CSO allocates £12.7m per annum to Boards through its NRS Researcher Support budget to meet the time of staff conducting research. If you are currently doing research but you don’t have support for these sessions you should be applying directly to your R&D office for funding under the Researcher Support strand. Applications should be emailed to Karen Ford by midday on Friday 13th November. Strathclyde Capita PhD Studentship - Smart Games that Diagnose: Toward Early Assessment of Autism Spectrum Disorder. The closing date for applications is 30th June 2015. The Physiotherapy Research Society Conference will take place in Leicester on 24th April 2015. The Deadline for abstracts is the 14th of January 2015. Physiotherapy UK are running their 2015 Conference & Trade Exhibition on 16th & 17th October 2015 in Liverpool, and have posted a call for abstracts. The Closing date for submissions is 19th January 2015 at 12 noon. Brian Power, a Registered dietician and PhD student at Aberdeen University writes: I am part of a cohort of PhD students who are organising an event ''The importance of involving patients and the public in research'' next April at the University of Aberdeen in Scotland. Along with 8 other PhD students, we are currently enrolled on a flagship studentship scheme which provides high-quality training to PhD students to enable us to become the research leaders of the future. Please visit http://www.abdn.ac.uk/clsm/graduate/current-students/mrc-flagship-students/ for more information about the scheme. This event is an exciting opportunity for us to invite expert speakers who will all have a different perspective on this topic, namely research funders, researchers, clinicians, and members of the public. As such, I have been tasked with identifying and inviting the following to the this event; a clinician in this area and member (s) of the public who have been involved in research. If any of you know anyone who may be suitable to contact I would be very grateful if you could forward them my contact details or alternatively, forwarding their contact details to me. I can also provide more information such as the proposed seminar programme if required. Hillside Health Care International are currently recruiting for a physiotherapist with rural health and/or development experience who is willing and able to replace Monica this fall. The Health Foundation is seeking committed and talented clinically-qualified leaders to join its Quality Improvement Fellowship programme. We want to give up to five senior leaders the opportunity to spend a fully-funded year at the Institute for Healthcare Improvement in the US, where they will combine academic learning with the development of practical skills and techniques for quality improvement. Fellows return to the UK ready to spread their learning within their organisation and beyond. The Quality Improvement Fellowships are now open for application. Click here to read more about the BDA and AHPRN London Hub workshop on applying for the NIHR Clinical Doctoral Research Fellowship. Recently launched is the Musculoskeletal Elfwebsite which will publish regular blogs that select high quality research and summarise it for healthcare professionals in a simple, clear and engaging way. Chief bloggers on the site will be Tracey Howe, Professor of Rehabilitation Sciences, Glasgow Caledonian University and Heather Gray, Senior Lecturer in Physiotherapy, Glasgow Caledonian University. There will be loads of different ways to keep up to date with the new MSK Elf as it will also appear on Twitter @msk_elf, Facebook http://www.facebook.com/pages/The-Musculoskeletal-Elf and in a free weekly email newsletter. PhD Studentship Opportunity in the Highlands: Befriending in heart failure patients University of Stirling, NHS Highland and Chest, Heart and Stroke, Scotland The outstanding research project has been developed jointly with Chest, Heart and Stroke, Scotland to fully assess the impact of third sector support and befriending on a range of clinical, social and service outcomes through high quality research.